The highly treasured Winbond BH-5 is gone from the market; thus begins a new search for the enthusiast's new best friend. Currently contending for the right to be BH-5's successor are: OCZ's VX (Voltage Extreme), Micron's G and Samsung's TCCD. Today I'll be looking at PDP Systems contribution to the enthusiast market, the 512MB PC3200 Patriot Memory w/ XBL Technology featuring Samsung's TCCD ICs. 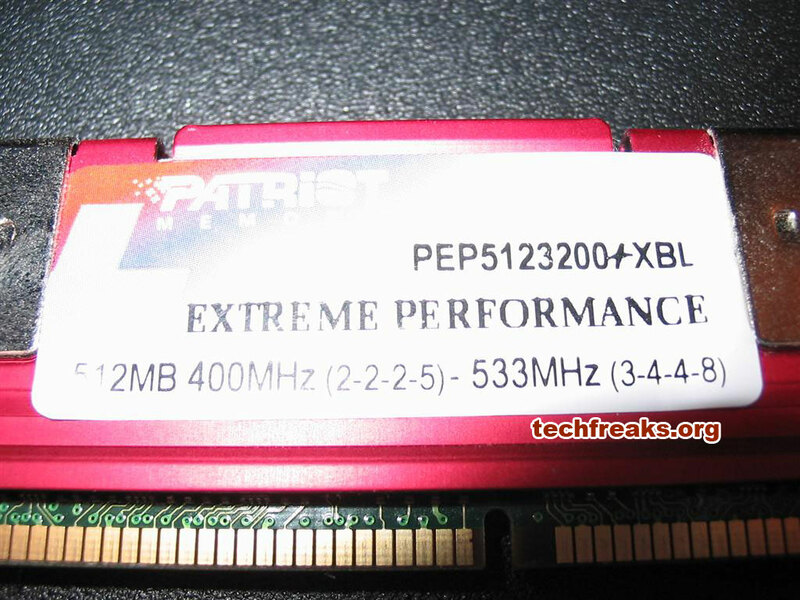 PDP Systems is a relative newcomer to the memory market, at least relative to the likes of corporate giants Crucial, Corsair, Kingston and OCZ, and while their prior inexperience was shown in our review of their value module, I expect great things out of the Patriot XBL. The Patriot XBL comes equipped with a maroon colored heat-spreader, and whether the heat-spreaders are there for temperature or cosmetic reasons, they do look nice. Unfastening the two clips holding the heat-spreaders in place and applying a bit of force we find our beloved Samsung TCCD Week 437 ICs. The ICs are situated on a Brainpower PCB which is said to allow an estimated extra 10mhz over-clock over the reference JEDEC PCB. 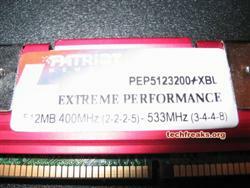 The specifications of the Patriot XBL are PC3200 (200MHz) 2-2-2-5 @ 2.6V. Putting the TCCD's to good use, Patriot also says the chips will run fine at PC 4200 (267MHz) 3-4-4-8 @ 2.85V. 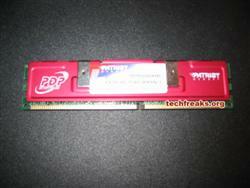 But really, what kind of enthusiast doesn't run his memory out of spec? 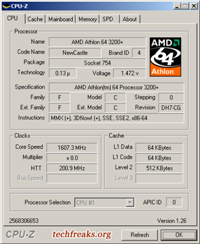 The 2800+'s multiplier was dropped to 8x for all tests so that the processor would not be a limiting factor. 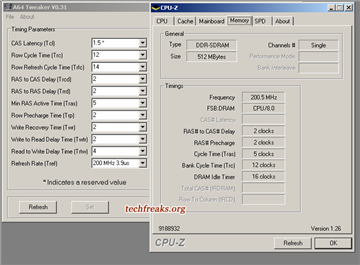 All over-clocking and timing adjustment was done via A64 Tweaker V0.31 and ClockGen for the nForce 3 chipset. The Tcl (CAS Latency) timing of 1.5 was achieved through A64 Tweaker, however it may not be available in all motherboard's BIOS. 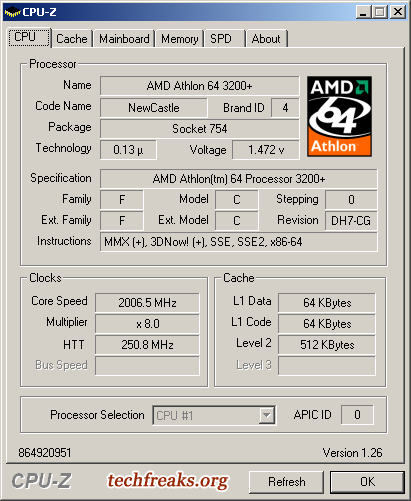 Moving onto PCMark04 it seems that the 1.5 Tcl timing actually acts as a deterrent as it performs worse than the memory at stock. From there, everything looks linear. 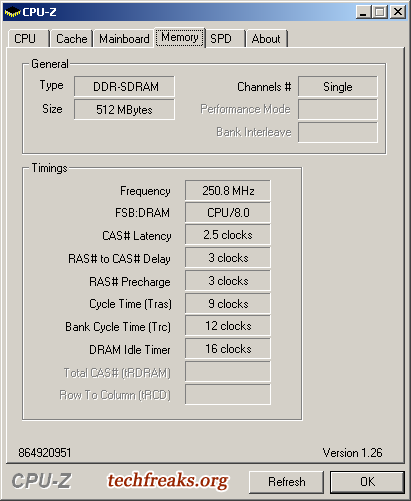 Parallel results in SiSoft Sandra 2004, 1.5 doesn't look too ideal. Rounding out the tests is SuperPi. For some reason, SuperPi refused to run at 220 2-2-2-5. Does this represent instability? 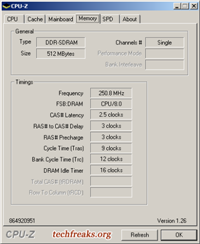 Not to my knowledge: I ran Memtest 86+ and there were no errors; Sandra's Burn-in-Wizard over-night using only the Memory Bandwidth test reported no problems. What do all these synthetic benchmarks tell us? That by itself, the module performs quite well. But how much can we get out of the XBL? 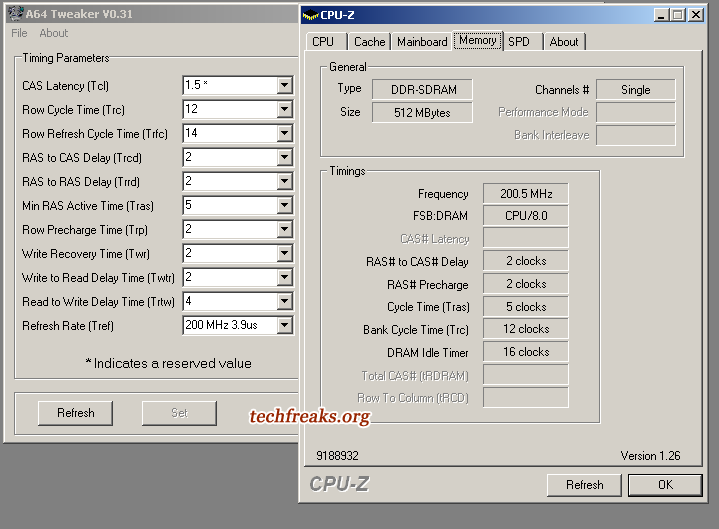 Dropping the CPU multi down to 8x, LDT multi to 3x and keeping the standard 2.6V, I easily hit 280HTT 2.5-3-3-9 which was the highest stable clock I've reached. Bumping the VDimm to 2.8V, I hit 290HTT and soon after, 300HTT, albeit, neither were stable. While the TCCD does not crave voltage like the BH-5 did, nor will you soon be able to achieve 250 2-2-2-5 (this TCCD topped out at 234), the XBL puts up quite the fight. 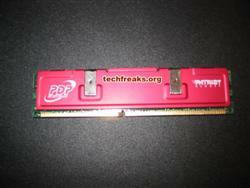 It is never-the-less always impressive when PC3200 memory can go 1:1 at DDR600 speeds. 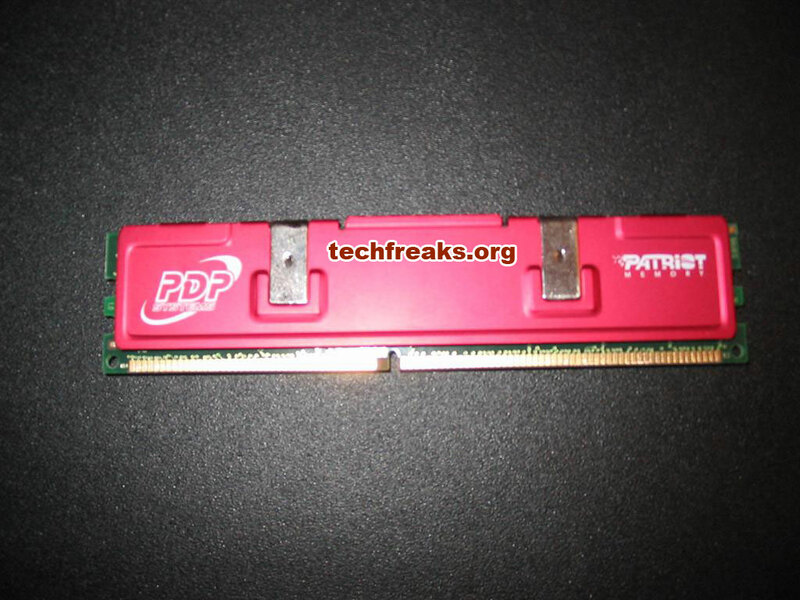 At only $115 shipped for a 512mb stick and $230 shipped for a 1GB Dual Channel pack, Patriot's TCCD offering is the cheapest on the market and is worth the small investment.